This week on That’s Entertainment Dave Griffiths joins Ed Phillips to chat about new films The Hitman’s Bodyguard, Everything Everything, 47 Metres Down and Girl’s Trip. 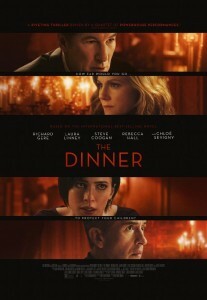 Thanks to our good friends at Icon Distribution Subculture Entertainment is pleased to be able to giveaway two double passes to the brand new film The Dinner. The brand new gritty drama stars the likes of Richard Gere (Pretty Woman, Primal Fear), Steve Coogan (Philomena, Tropic Thunder), Rebecca Hall (The Town, Iron Man 3), Laura Linney (Primal Fear, Mystic River) and Chloe Sevigny (Boys Don’t Cry, Big Love). The Dinner will be released on the 7th September. For your chance to win a double pass to The Dinner just private message us the answer to the question – in which romantic comedy does Julia Roberts and Richard Gere star in together – to either our Facebook or Twitter page. 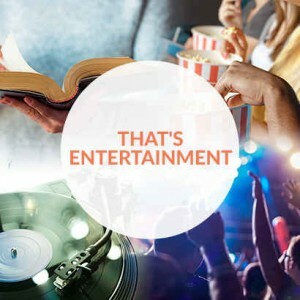 This week on That’s Entertainment Dave Griffiths joins Ed Phillips to chat about new films American Made, The Circle and Madame. Thanks to our good friends at Icon Distribution Subculture Entertainment is pleased to be able to giveaway two double passes to the brand new Danish comedy Small Town Killers. The film follows two craftsman who are tired of their lifeless and sexless marriages. After a fight with their other halves, they drunkenly hire a Russian hitman to kill their wives, planning to live it up afterwards with their secret stash of cash. They badly underestimate their spouses (as husbands often do), and end up being chased by the hired killer themselves. 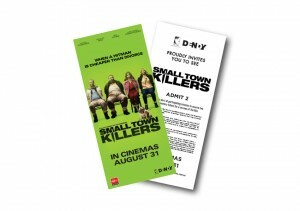 Small Town Killers will be released on the 31st August. 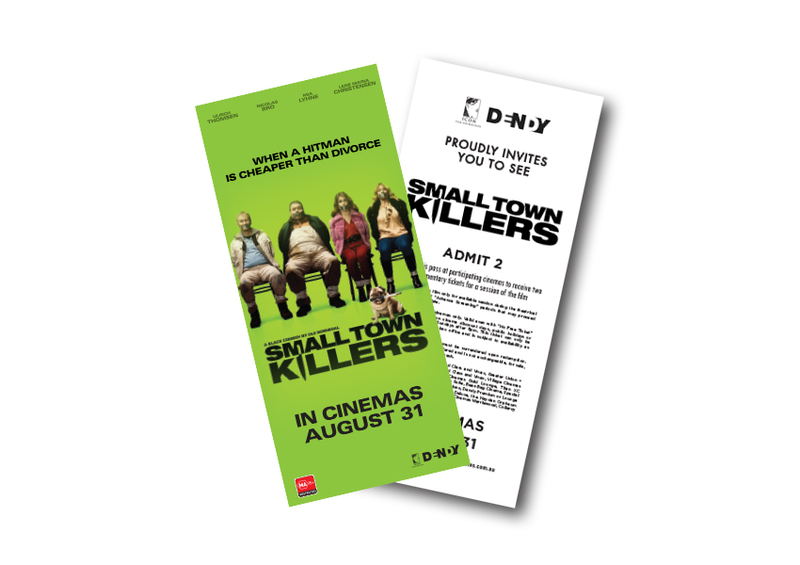 For your chance to win a double pass to Small Town Killers just private message us the answer to which country that Small Town Killers comes from to either our Facebook or Twitter page. This week on That’s Entertainment Dave Griffiths joins Ed Phillips to chat about new films The Dark Tower, Hampstead, Logan Lucky and The Trip To Spain. Defiant Screen Entertainment is proud to present Season Two of the extremely successful and gut-wrenching TV series NARCOS. Season Two kicks off with Pablo Escobar on the run following his prison escape. 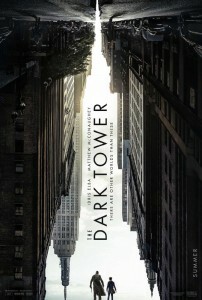 As he works to rebuild his empire, he unleashes a reign of terror unparalleled in both violence and brutality. The innocent victims of his ugly war begin to rise and so to do his enemies, as they work to outmanoeuvre the monster and ensure his downfall. On Blu-ray &DVD August 30, 2017. Subculture Entertainment is teaming up with Defiant Screen Entertainment to give you a chance to win a copy of Narcos Season 2 on Blu-Ray. To win simply private message the word ‘Narcos’ to either our Facebook or Twitter page. 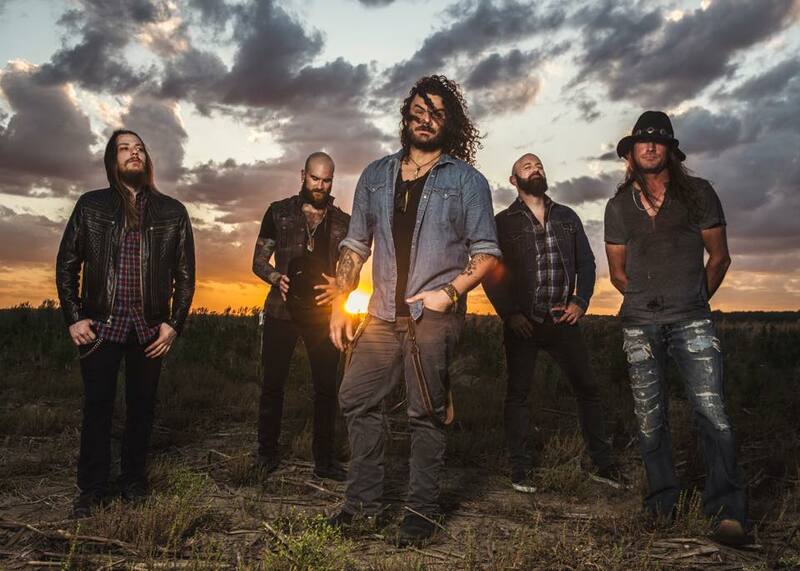 Shaman’s Harvest have just dropped their brand new album called Red Hands Black Deeds and Dave Griffiths caught up with the band’s lead singer Nate Hunt to chat about the ‘vintage’ nature of the brand new album and to also have a look at the in-depth lyrics found on this album. You can listen to or download the Shaman’s Harvest interview right here. With hard rock legend Janet Gardner about to release her debut solo album Dave Griffiths caught up with Janet and her songwriter/musician husband Justin James to talk about this brand new album and all the inspirations behind it. You can listen to or download our Janet Gardner interview right here.